Pacemaker Fishing Forum / 5th Annual Ashburn Village Wounded Heroes Fishing Event, 6-22-19! » 5th Annual Ashburn Village Wounded Heroes Fishing Event, 6-22-19! 5th Annual Ashburn Village Wounded Heroes Fishing Event, 6-22-19! Please save the date...more info later! 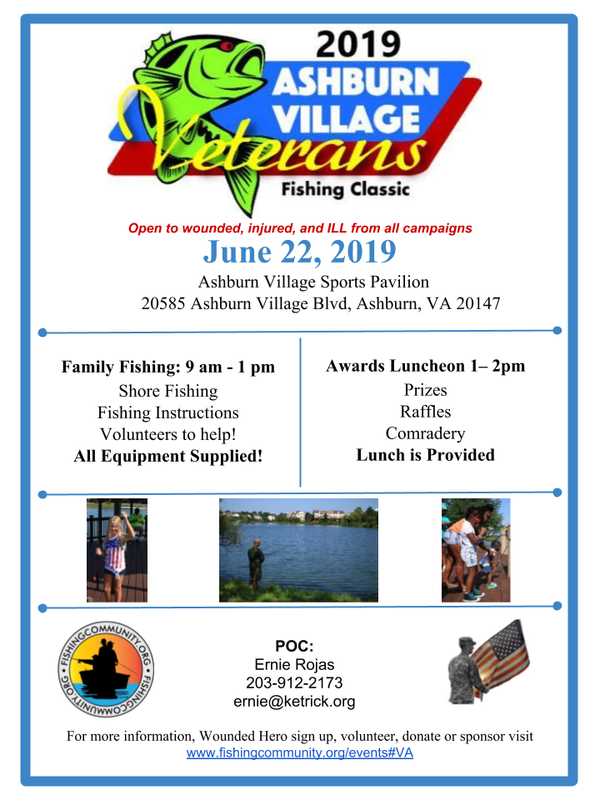 Re: 5th Annual Ashburn Village Wounded Heroes Fishing Event, 6-22-19!